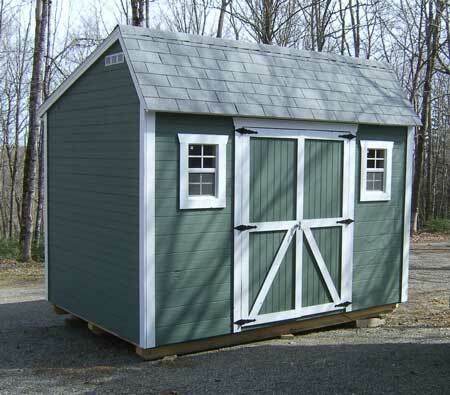 can Lease - to - Own one of Ed’s Sheds? us in the beautiful Maine woods. 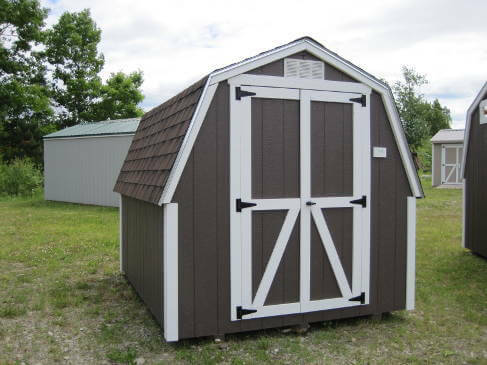 We've added a bunch of new sheds to our specials page! Take a look! 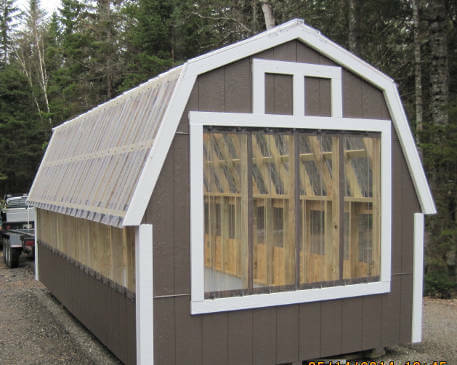 We offer Gambrels, Salt Box Sheds, A-Frames, Garages, Cabins, and Greenhouses in many different sizes. 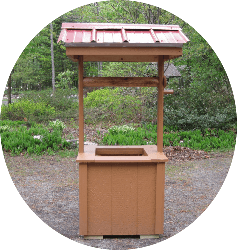 We will also custom build to suit your needs. 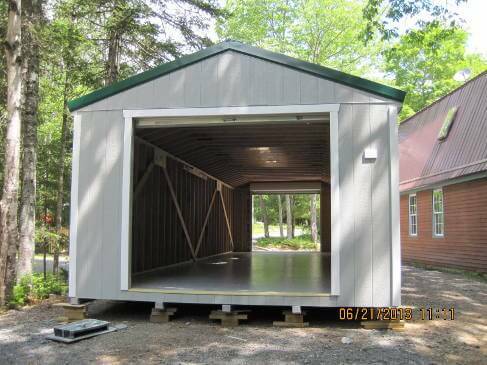 Every shed is hand built. If you haven't watched our construction video, please do. 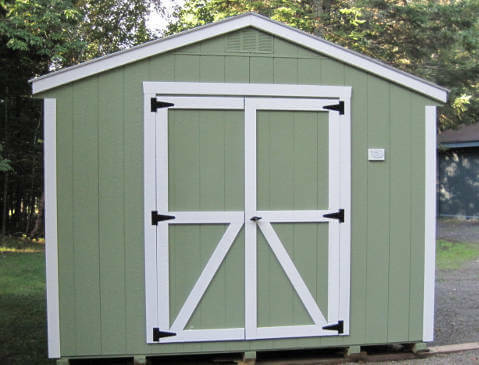 This page has a series of photos that detail the features of our sheds. Not all sheds are created equally. 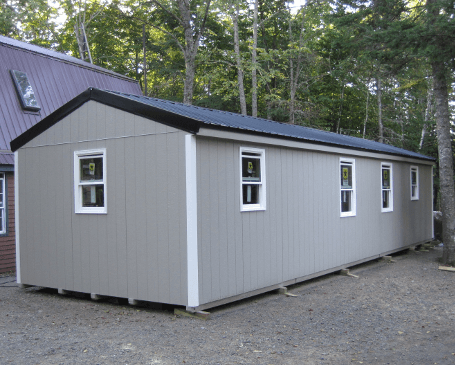 Our sheds are architect designed and materials come with warranties from 25 to 50 years! Come see what makes us different. 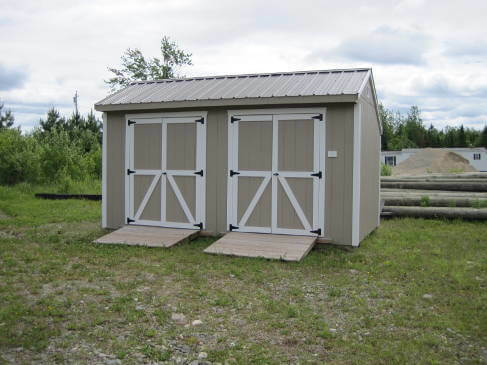 We take great pride in making all our sheds right here in Maine. Take some time and see how we do things. 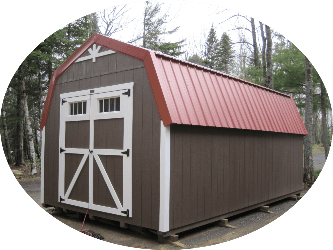 It doesn't matter if you are buying a "stock" shed or we do a custom build for you - we give each and every shed the detailed attention that it needs. You'll be very happy with your purchase for many many years. 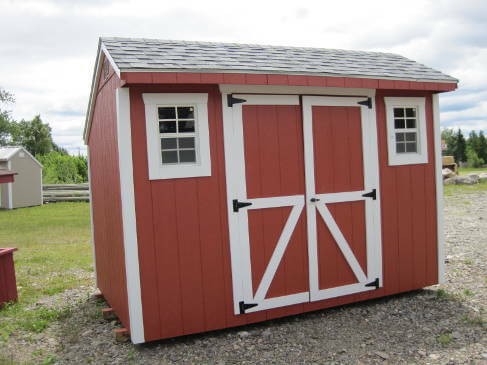 Not sure what kind of shed you are looking for? No problem! We offer a variety that is sure to please. 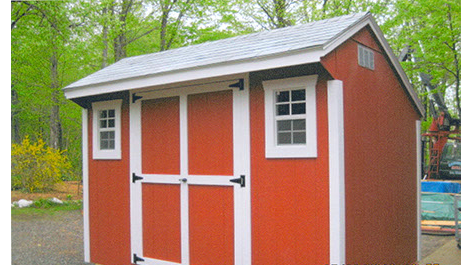 We have Gambrel Sheds, Salt Box Sheds, A-Frame Sheds, Garages, and Cabins. Enjoy browsing around the site and let us build that extra storage space you've always wanted.